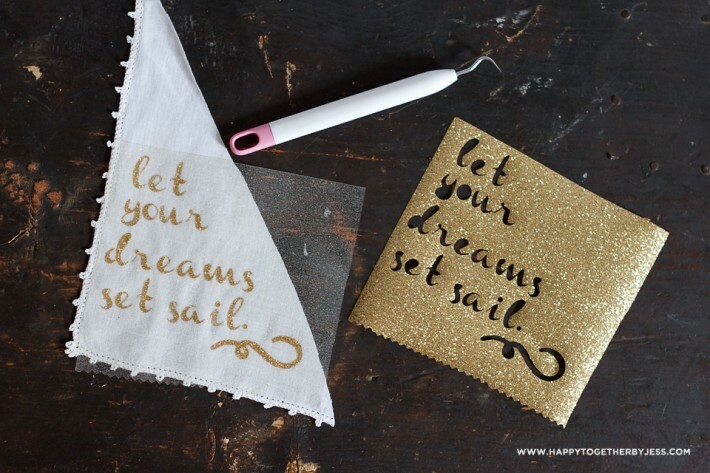 This simple diy is the first of a few projects you will see me blog about for the Cricut Design Space Star Contest that has begun this month. A bunch of us bloggers are on different teams and have a different challenge each month. We get to create using our Cricut Explore and share as many projects as we want for a chance to win prizes. This month we had to choose between paper or home decor and then pick a unique theme for it. My team went with home decor and we chose beach as our theme. Guess what? During this time, they are also giving away a Cricut Explore machine every day until the end of July!!! I will share more details at the end of the post about that, but here is the quick how to for this little driftwood sailboat with quote. 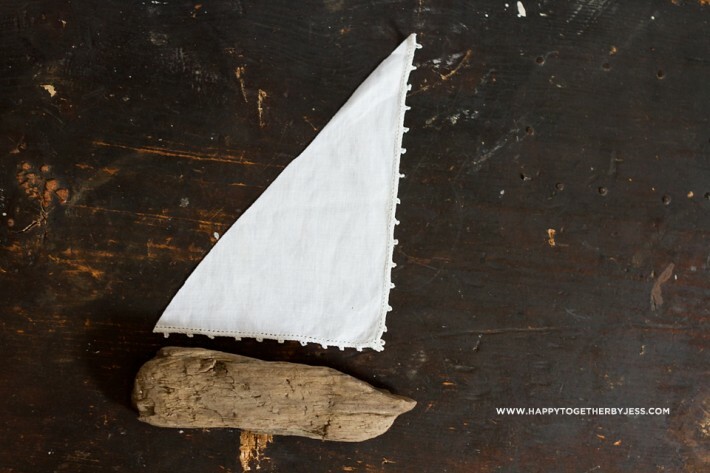 You will need a few things: a piece of dried out driftwood, fabric for the sail, a stick to hold up the sail, glue (I used a hot glue gun), ribbon, iron on vinyl of your choice, iron, scissors, and of course an Explore machine. I started by cutting out a 90 degree triangle for the sail. 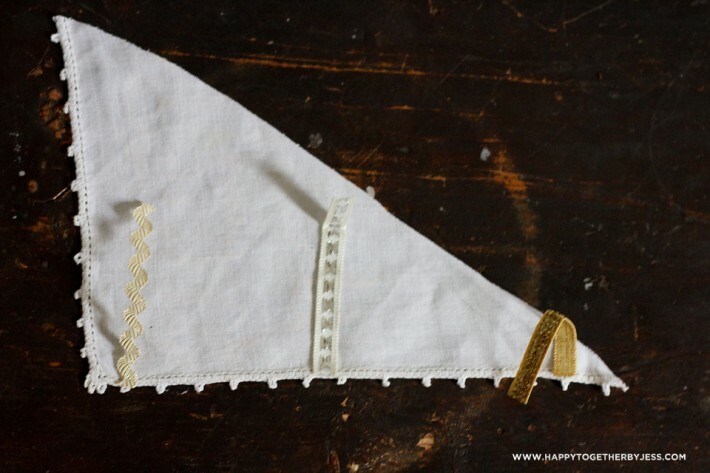 I used a vintage linen so it had this pretty edging on the side. Then I went and created the quote in Design Space. I used one of my favorite fonts, Channel, and then searched the image library for “flourish” and found that little squiggly at the bottom. I measured my fabric triangle to determine how to place my words. Then I got my Explore all set up, put the vinyl on the mat, and started the cutting process. Since this is an iron on, make sure to choose the “mirror image” option before cutting. Then I pulled off the vinyl, leaving the words behind. I placed the quote where I wanted and placed a thin cloth on top. Then I ironed it in place according to directions. Next I glued on three pieces of ribbon to be glued onto the stick. I wrapped them around the stick and glued them in place. Then I glued the stick on the large piece of driftwood. I used hot glue, but I would really suggest something stronger or even drilling a hole and gluing it into that. But, this is decoration for my house and will be high on a shelf, so the hot glue is good enough for me. 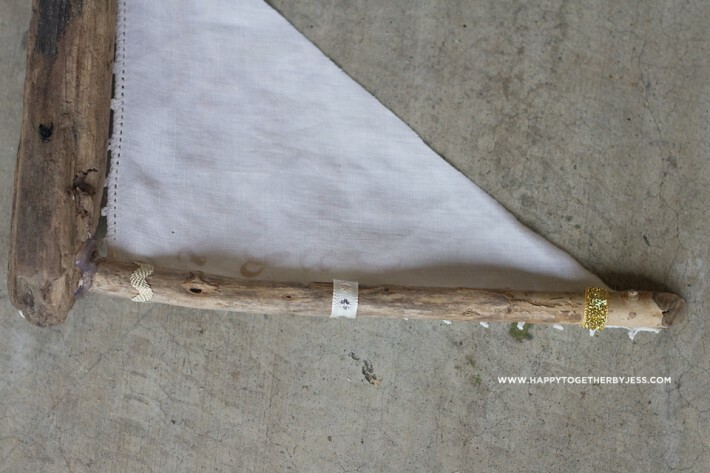 After the glue dried, I glued down the outer corner of the sail onto the driftwood. And that is it. 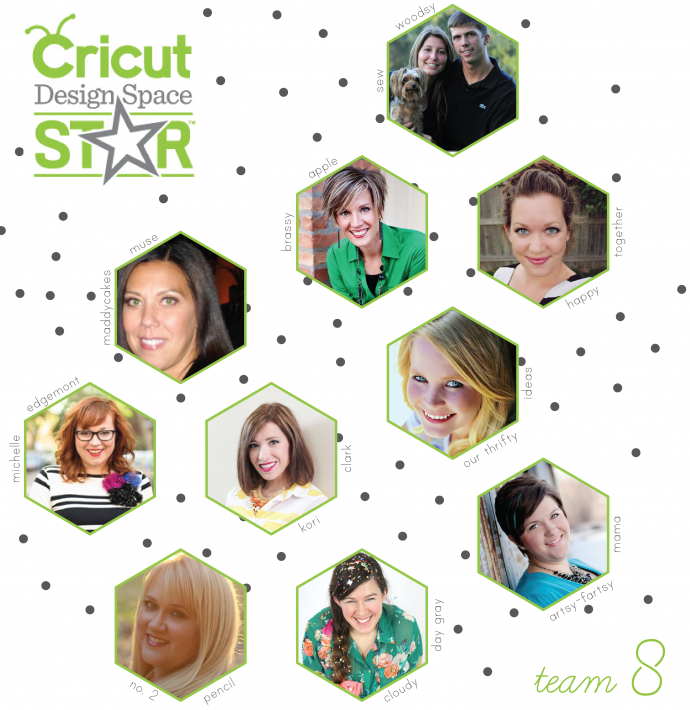 Want to win a Cricut Explore machine for yourself??? All you have to do is upload a photo of any project you have made and tag it with #cricut and #imadeit on either Facebook, Instagram, or Twitter. It can be any project whatsoever! It does not have to be made with a Cricut. I would love it if you tagged me as well so I can see what you are posting 🙂 See the sidebar buttons to find me. I hope some of you all get to win one! Remember, this is going on through the end of this month. For more information, see here for official rules and FAQ. This is so cute. I love the combination of the glitter with the simplicity of the drift wood.